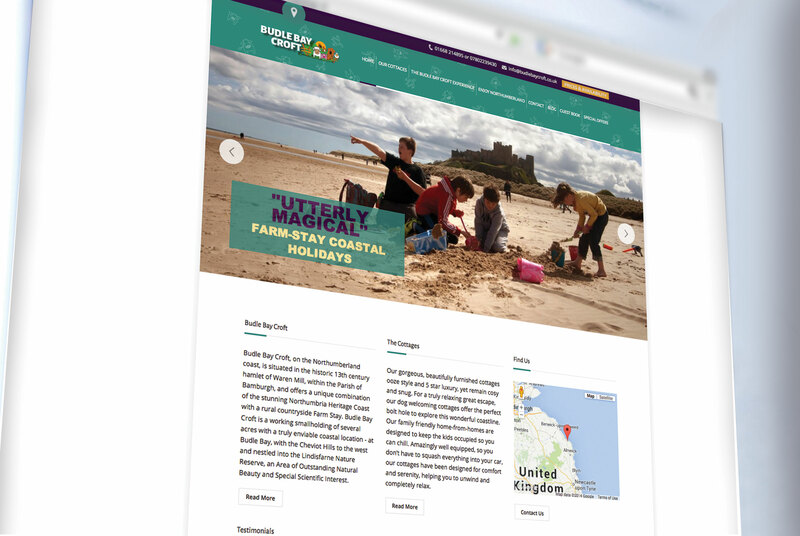 Budle Bay Croft, a high quality Northumberland farmstay experience, is an example of one of our web development projects which is making the most of content marketing. The site is packed with useful information about the local area and the experience of this unique business. The content takes priority, but is supported by a new brand identity which reflects the target audience of families and represents the Budle Bay experience. A photoshoot took place to allow us to display the quality of the accommodation, and show prospective customers what they can expect to ‘feel’ like while they are on holiday at Budle Bay Croft. Social media has been crucial to the success of this venture, with a significant proportion of all web traffic coming from the various channels. SEO continues to be updated and Budle Bay Croft is seeing some fantastic results for the top search terms. We continue to track how people use the site and adjust pages accordingly.